This paper investigates the settlement developments of the landscape around the ancient town of Venusia in southern Italy using legacy field survey data. A Latin colony was established here in 291 BC and also other subsequent Roman colonization movements are known from the literary sources. As in many other Roman colonial landscapes, trends in the settlement data of Venusia have previously been linked to the impact of Roman colonization, which is usually understood as a drastic transformation of the pre-Roman settlement landscape and land use. Rather than using theories on Roman colonial strategies for explaining possible settlement patterns (deductive approach), this paper presents an alternative, descriptive, bottom-up approach, and GIS-based inductive location preference analysis to investigate how the settlement landscape evolved in the Hellenistic and Roman periods (particularly in the fourth–first century BC). Following closely the settlement choices from the pre-Roman conquest period onwards and assessing patterns in continuity and change in the settlement record, we demonstrate that pre-Roman rural settlement and land use strategies were not eradicated but instead strongly determined the location preferences for later settlements in the “colonial” periods. If these settlement trends can be related at all to the colonization waves mentioned in the ancient literary sources, the conclusion should be that Roman colonization did not lead to radical landscape and land use transformations, as has traditionally been suggested. Instead, an organic and complementary rural infill over time is documented, in which cultural factors instead of land use potential played a key role. Read online through Springer Link. Archaeological field survey data can be biased by many factors, such as ground visibility conditions (e.g. vegetation, plowing) and geomorphological processes (erosion, deposition). Both visibility and geomorphological factors need, therefore, to be assessed when patterns of settlement and location preferences are inferred from survey data. Although both factors have been taken into account in a variety of fieldwork projects and studies, their combined effects remain hard to predict. In this paper, we aim to address this issue by presenting a visualization method that helps in evaluating in combination the possible visibility and geomorphological effects in regional, site-oriented field surveys. Capitalizing on first-hand data on both archaeology and soil types produced by the recent Leiden University field survey project in the area of Isernia (Roman Aesernia, Central-Southern Italy), we propose a combined application of statistical tests and geo-pedological analysis to assess the extent and scale of the main biases possibly affecting the interpretation of the ancient settlement organization. Translating both sets of biases into GIS maps, we indicate the likelihood that negative field survey observations (absence of sites), in specific parts of the landscape, are genuine or rather distorted by biasing factors. The resulting “archaeological detectability” maps allow researchers to formally highlight critical surveyed zones where the recording of evidence is likely unreliable, and thus provide a filter through which archaeologists can calibrate their interpretations of field survey datasets. Read online through Wiley Online Library. 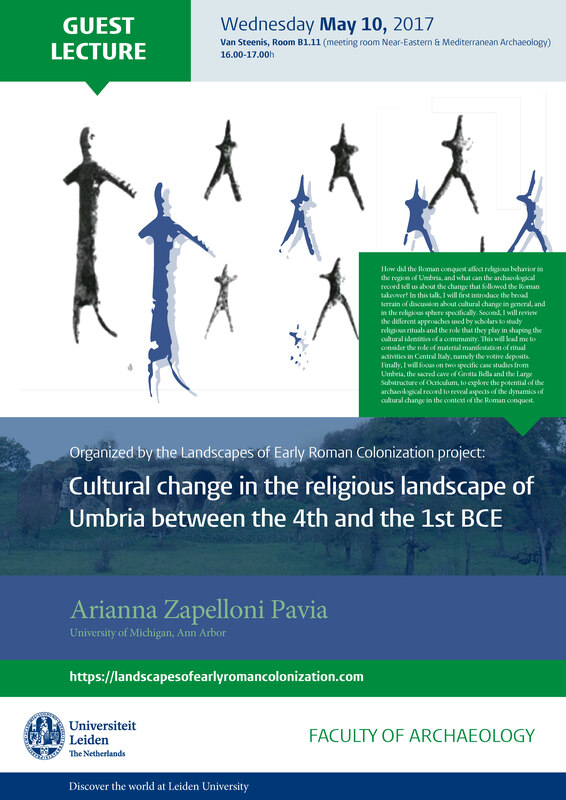 Abstract: How did the Roman conquest affect religious behavior in the region of Umbria, and what can the archaeological record tell us about the change that followed the Roman takeover? In this talk, I will first introduce the broad terrain of discussion about cultural change in general, and in the religious sphere specifically. Second, I will review the different approaches used by scholars to study religious rituals and the role that they play in shaping the cultural identities of a community. This will lead me to consider the role of material manifestation of ritual activities in Central Italy, namely the votive deposits. Finally, I will focus on two specific case studies from Umbria, the sacred cave of Grotta Bella and the Large Substructure of Ocriculum, to explore the potential of the archaeological record to reveal aspects of the dynamics of cultural change in the context of the Roman conquest. 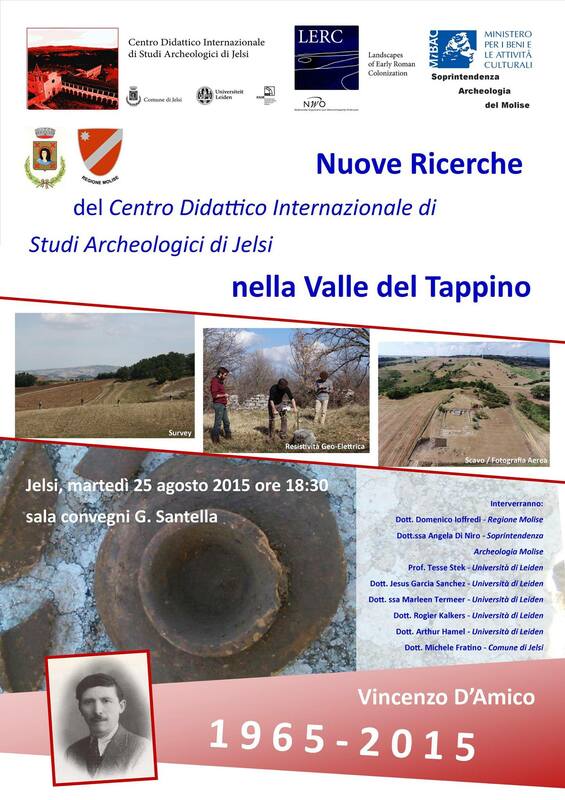 Organised in collaboration with the Royal Netherlands Institute in Rome (KNIR), the British School at Rome (BSR), and the Centro Didattico Internazionale di Studi Archeologici di Jelsi. Students in Classics, (Ancient) History, Archaeology, Political sciences enrolled in one of the KNIR partner universities (UvA, VU, UL, UU, RU and RUG) and from UK universities. in: Journal of Ancient History 4.2 – 2016, pp. 158-190. Abstract: This article reassesses the socio-political significance of coinage production by Latin colonies in the third century BC. It challenges the traditional assumption that these coinages confirm the colonies’ political status as autonomous city-states, and thus contributes to recent research on the character of early Roman colonization. It is argued that early Samnite experiments with coinage in the fifth and fourth centuries are important comparanda for the colonial coinages: both the early colonial coinages and the Samnite issues are produced in interaction with but on the fringes of a Greek world in which coinage production and use was well established. The comparison shows that the context of production of the colonial coinages of Cales, Suessa Aurunca, Aesernia and Beneventum is similar to previous and contemporary issues produced by Samnite groups active in Samnium and Campania. In both cases, production is most probably connected to mercenary or military activities. In this context, it is improbable that a strong conceptual connection between political autonomy and coinage production existed in Italy when the Latin colonies produced their coinages. Rather than seeing coinage as proof of their independent city-state status, it is suggested that coinage production helped to develop the colonies’ socio-political self-definition. Read online through De Gruyter Online. in: Marion Bolder-Boos & Dominik Maschek (eds.) 2016 Orte der Forschung, Orte des Glaubens: Neue Perspektiven für Heiligtümer in Italien von der Archaik bis zur Späten Republik, Dr. Rudolf Hagelt GmbH, Bonn, pp. 117-127. Abstract: This paper explores new ways to use votive material from Latin colonies as a source for questions about cultural change in Mid-Republican Italy. While research has traditionally focused on specific categories of votive material as indicators of Roman influence, I argue that a more comprehensive account of the role of the colonies in cultural change is needed, that takes into consideration the complete spectrum of votive material present in the colonies. Two main questions are important: how did material become available in the colonies, and what meanings were attached to it locally? The potential of this approach is illustrated by an analysis of two categories of votive material: bronze statuettes of Hercules and life-size terracotta statues and heads. By considering both the cultic and social considerations that informed the selection of votives, and large scale dynamics of production and exchange, a more dynamic image of the colonies’ role in processes of cultural change emerges. Order a copy through Dr. Rudolf Habelt GmbH. Migration has long been a major topic in archaeology and as long as culture history has framed archaeological understandings of material culture and past societies, migrations have been seen as the stuff that (pre)history was made of. With the advent of the New, Processual and Post-Processual archaeologies, archaeological explanations and theoretical interests have shied away from migration, but a lack of interest among contemporary archaeologists does not mean that people in the past did not migrate. 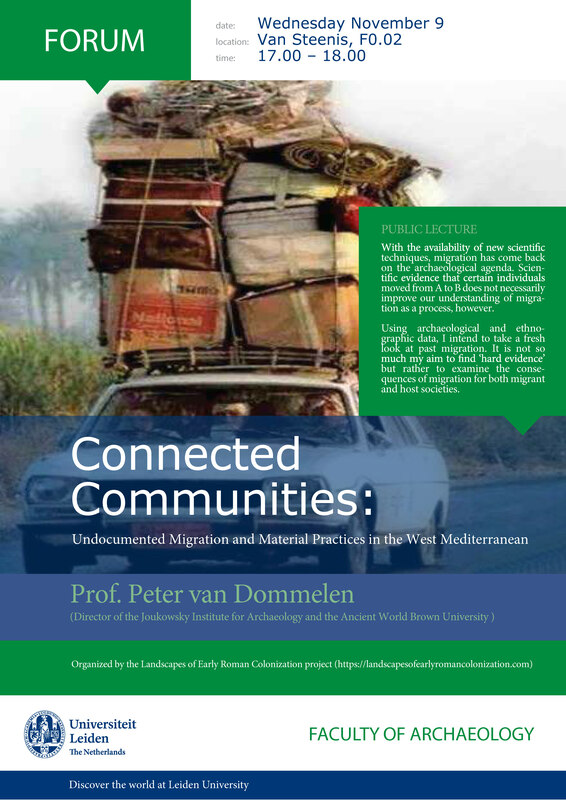 Migration was in all likelihood as common, recurrent and widespread a phenomenon in the ancient and distant past as it is today – it has indeed been argued that migration is arguably a fundamental part of being human. As new scientific techniques like DNA, isotope analyses and other biometric approaches have become available, migration has come back on the archaeological agenda, and there is widespread interest in tracing and tracking migration. Scientific evidence that certain individuals actually moved from A to B does not necessarily improve our archaeological understanding of migration as a process, however, and it is precisely this question that I intend to tackle in this lecture. Using prehistoric, Classical and recent archaeological and ethnographic evidence from around the West Mediterranean, I intend to take a fresh look at past migration. In doing so, it is not so much my aim to find ‘hard evidence’ but rather to examine the consequences of migration for both migrant and host societies. ‘Romanizzazione religiosa’ tra modello poliadico e processi culturali. Dalla destrutturazione postcoloniale a nuove prospettive sull’impatto della conquista romana. in: Aberson, M. et al. (eds.) 2016, L’Italia centrale e la creazione di una koiné culturale? I percorsi della ‘romanizzazione’, Bern, pp. 291-306. Esiste un acceso dibattito circa l’effettivo impatto esercitato dalla conquista romana sui luoghi di culto e sulla dimensione religiosa dell’Italia antica. Nell’ambito della discussione su quella che si è venuta a chiamare ‘romanizzazione religiosa’ è possibile registrare un’ampia gamma di posizioni differenti assunte dai diversi studiosi, anche molto di recente. Tuttora, infatti, questo dibattito si trova al centro di accese critiche, se non addirittura di polemiche. A causa dello sviluppo molto frammentario di tale campo di ricerca, tentare di presentare una visione chiara della storia degli studi sulla romanizzazione religiosa non è un’operazione semplice. Il primo scopo di questo modesto contributo è proprio quello di evidenziare ulteriormente tale frammentarietà. Il dibattito sulla romanizzazione religiosa, in verità, si è venuto a costituire attraverso discorsi disciplinari fondamentalmente differenti e, per certi aspetti, difficilmente compatibili tra loro a livello analitico. In questo contributo, vorrei soffermarmi in particolare su due discorsi molto influenti sulla formazione di questo dibattito: quello del modello religioso poliadico (il cosiddetto ‘polis religion’ model) e quello dei processi culturali in senso materialistico. In questi due discorsi ci sono chiare tendenze destrutturanti, o addirittura minimaliste, riguardo l’impatto romano sulle aree incorporate o colonizzate in epoca repubblicana. Nell’ambito del discorso creato intorno al modello religioso poliadico, questo impatto, in verità, è stato già da sempre stimato come minimo. Più di recente, però, anche all’interno del discorso riguardante i processi culturali, la portata della conquista romana è stata fortemente ridimensionata. Inoltre, forti dubbi sono stati espressi finanche nei confronti della effettiva romanità religiosa delle comunità romane o latine coloniali. L’enfasi riservata alla variabilità dei fenomeni religiosi in contesti coloniali insieme al mancato ritrovamento di attestazioni corrispondenti ai modelli rigidamente romani tradizionalmente attesi, in particolare, hanno contribuito a minimizzare l’impatto di Roma sui territori conquistati. Mi sembra utile considerare, comunque, che tali critiche ‘destrutturanti’ potrebbero non essere sempre interpretabili in nome di un impatto romano più debole, o di modelli più inclusivi dell’espansionismo romano. Queste critiche derivano in gran parte dall’accettazione univoca del modello poliadico per le colonie. Come intendo dimostrare in questa sede, un radicale abbandono di tale modello in senso territoriale comporta sostanziali differenze interpretative circa i caratteri dell’espansionismo romano. Una prospettiva non-territoriale, infatti, rende possibile delineare modalità e meccanismi dell’impatto romano alternativi a quelli tradizionalmente riconosciuti. Read online through Peter Lang Publishing Group. Santuari, villaggi, centri fortificati e prima urbanizzazione tra sanniti e romani. in: ArcheoMolise 26 – 2016, pp. 24-39. 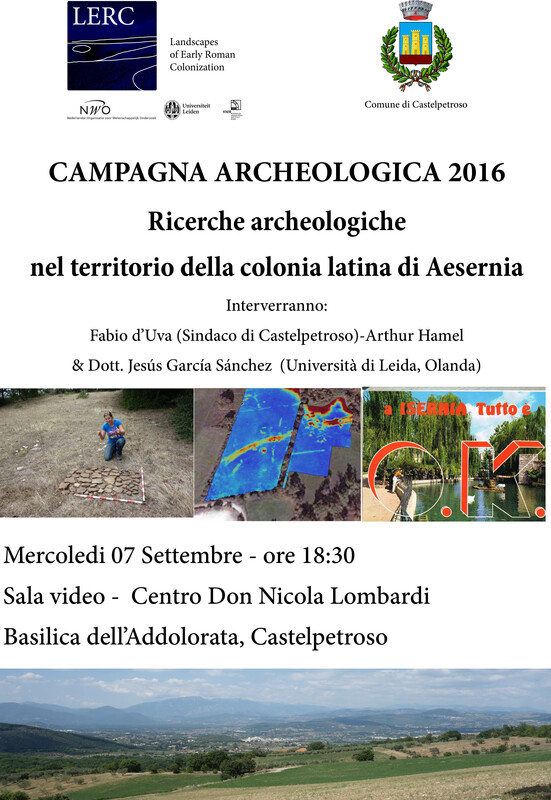 Brief overview in Italian of recent and ongoing fieldwork projects (survey, excavation, prospection) in ancient Samnium, modern Molise, including the Tappino Valley (Campobasso area), the territory of ancient Aesernia (modern Isernia), and the territory of ancient Larinum (modern Larino). Testing settlement models in the early Roman colonial landscapes of Venusia (291 B.C. ), Cosa (273 B.C.) and Aesernia (263 B.C.). in: Journal of Field Archaeology, volume 41 – 2016, issue 5, pp. 568-586. This paper examines settlement density and settlement patterns in the Roman colonial territories of Venusia, Cosa and Aesernia, located in three different landscapes of central southern Italy (modern Basilicata, Tuscany and Molise). Using a series of GIS tools, we conducted a comparative analysis of the density and spatial distribution of sites dating to the Hellenistic period (ca. 350–50 b.c.). We used the legacy settlement data collected by previous large-scale, intensive, site-oriented field surveys to test the validity of two competing rural settlement models of early Roman colonization: the conventional model of neatly organized settlements regularly dispersed across the landscape and the recently proposed theory that colonists adopted a polynuclear settlement strategy. After calculating the extent to which the archaeological datasets conform to the regular or polynuclear model, we conclude that only a very small portion of the colonized areas actually meets traditional expectations regarding the organization of early colonial settlements. Our analyses show that the legacy survey data is more consistent with the polynuclear settlement theory, but the data also reveals some completely unexpected patterns, suggesting that early Roman colonial landscapes were more diverse than previously thought. Listen back through nporadio1.nl (in Dutch). Recent and ongoing technological developments make the application of unmanned aerial platforms increasingly accessible for archaeological research and heritage management. 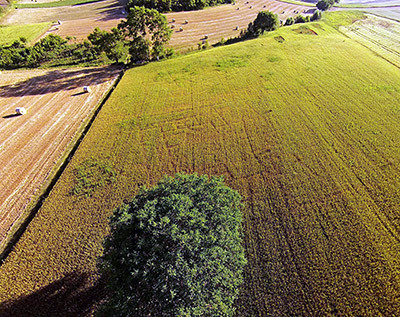 While the effectiveness of drones for documentation purposes of standing monuments and excavations has been amply demonstrated in recent years, there are also promising developments in their application for landscape archaeological projects. In this paper, the potential use of drones for the detection of subsurface archaeological remains in mountainous, Mediterranean landscapes is explored by presenting a case study in Molise, South Italy. In this rugged, Apennine area, traditional aerial archaeology approaches have in the past failed to yield good results as regards the detection and documentation of subsurface structures through crop marks. Recent experiments with low altitude, both vertical and oblique aerial photography using small, consumer friendly UAV’s drones have, however, produced important and clearly readable information about the existence and extent of subsurface features in a series of sites in the Tappino Valley in Molise. This paper presents the first results of a case study of a complex rural site of the Classical-Roman period. Consequently, the paper discusses the potential value and feasibility of UAV’s for archaeological research and cultural heritage management. In particular, the potential of the integration of UAV imagery in existing standard landscape archaeological research methods, such as field survey and geophysical prospection, is discussed. It is concluded that the targeted use of small remote controlled aerial platforms can significantly add to existing practices of both site-recognition and heritage management in the heavily threatened Mediterranean landscapes, and that it can be feasibly and efficiently integrated within standard methodologies applied in field survey projects. 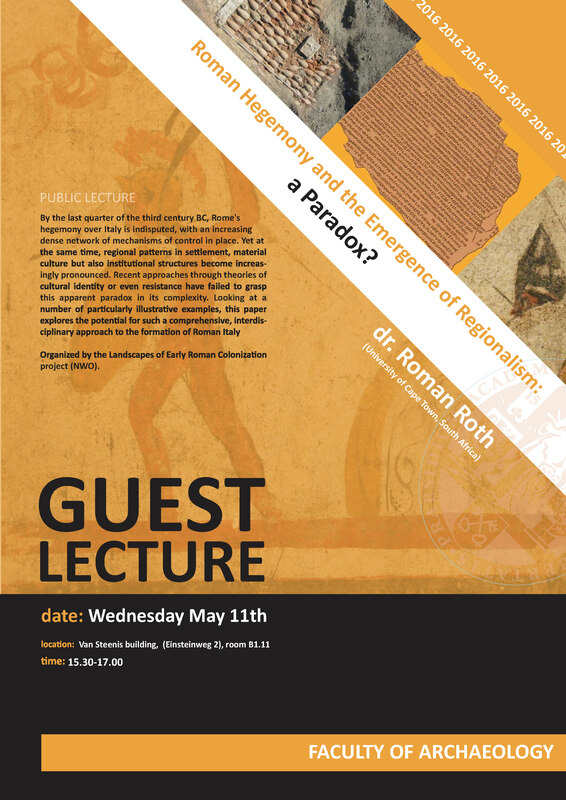 Roman Hegemony and the Emergence of Regionalism: a Paradox? By the last quarter of the third century BC, Rome’s hegemony over Italy is indisputed, with an increasing dense network of mechanisms of control in place. Yet at the same time, regional patterns in settlement, material culture but also institutional structures become increasingly pronounced. Recent approaches through theories of cultural identity or even resistance have failed to grasp this apparent paradox in its complexity. Looking at a number of particularly illustrative examples, this paper explores the potential for such a comprehensive, interdisciplinary approach to the formation of Roman Italy. 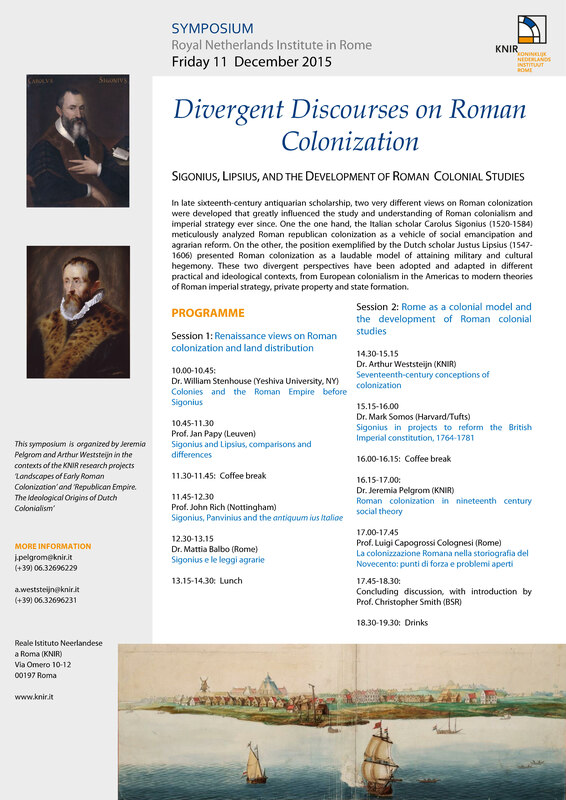 Conference organized at the Royal Netherlands Institute in Rome, 28-30 January 2016. As the most notorious opponents to Rome on Italian soil, the people referred to as Samnites in the literary sources have always occupied a special position in scholarship on ancient Italy and early Roman expansionism. The prominence of Samnium and the Samnites in classical studies is primarily due to Livy’s impressive account of the Samnite Wars. However, historiographical research over the last few decades has led to a more nuanced and variegated picture of the conflict and its protagonists. 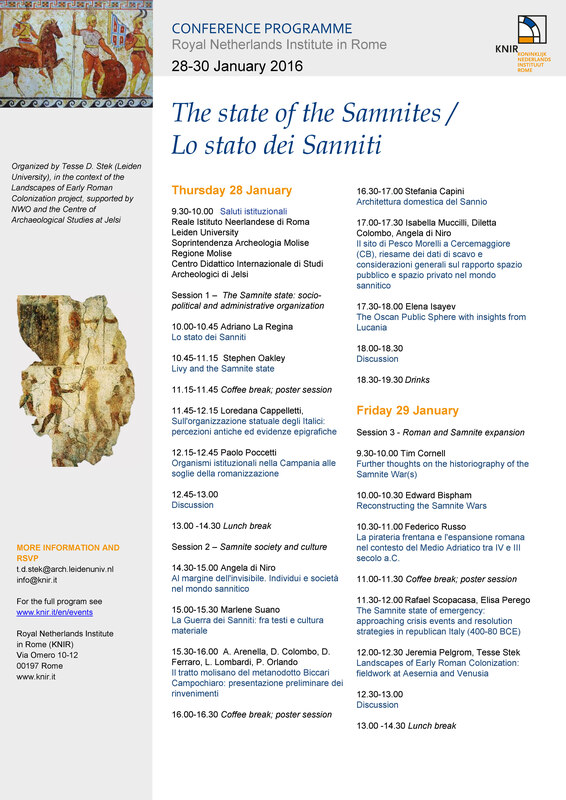 Recent studies have begun to question the historical role of ‘the Samnites’, and have indeed tended to deconstruct notions of strong Samnite socio-political cohesion and organizational capacity, as well as its archaeological visibility. The importance of careful contextual analysis of texts and archaeology is clear. Yet, the ultimate conclusions reached by some of the recent ‘deconstructivist’ studies are not uniformly accepted across different schools of thought. The issues of a shared Samnite identity or socio-political organization, and the veracity of Samnite military power and expansion especially have become the subjects of a heated scholarly debate. Insight into Samnite cohesion, organizational power and demography are important not only to appreciate the functioning of a distinctive societal configuration in challenging environmental conditions, but it also has crucial implications for our understanding of early Roman imperialism. As yet, these developing theoretical positions have remained partly isolated from very exciting new archaeological evidence. 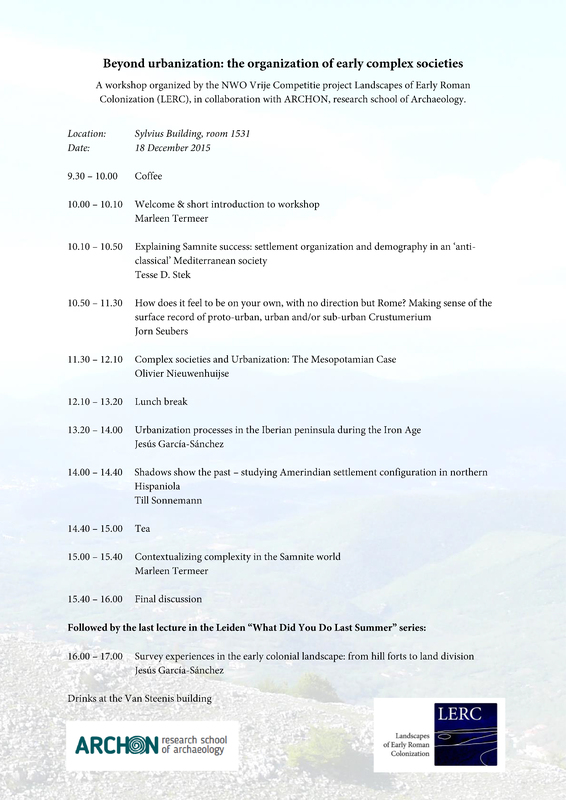 This conference aims to open up the discussion on these contested issues by discussing these new archaeological findings and novel views on the existing evidence. For more information visit: www.knir.it. 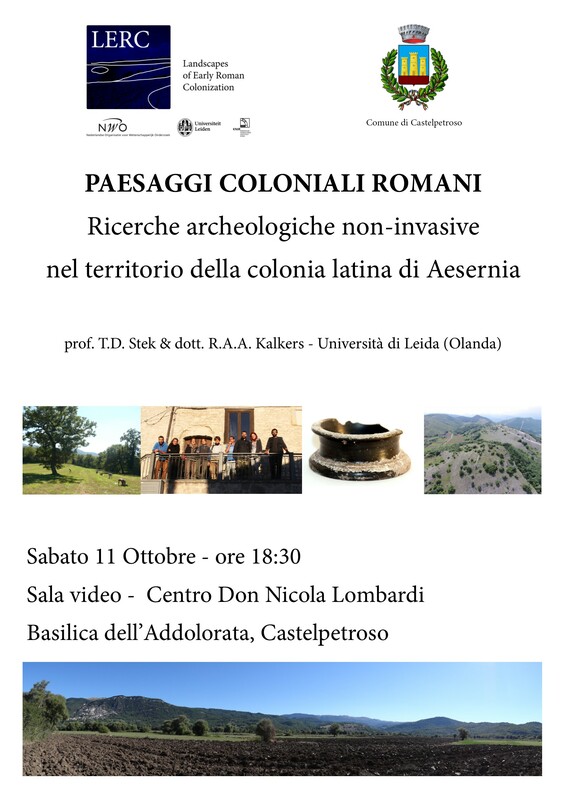 A workshop organized by the Landscapes of Early Roman Colonization project, in collaboration with ARCHON, research school of Archaeology. The development of complex society and state formation are fundamental research themes in archaeological and historical research, closely related to ways in which we understand the modern world. Urbanization and centralization have traditionally been seen as integral parts of these developments, both in theoretical research and in different historical case studies. Recently, however, other theoretical models have been explored: recent research on archaeology and early state formation, for example, stresses the problems associated with the so-called neo-evolutionist paradigm (e.g. Routledge 2013), and has pointed out the possibly heterarchical nature of early complex society. 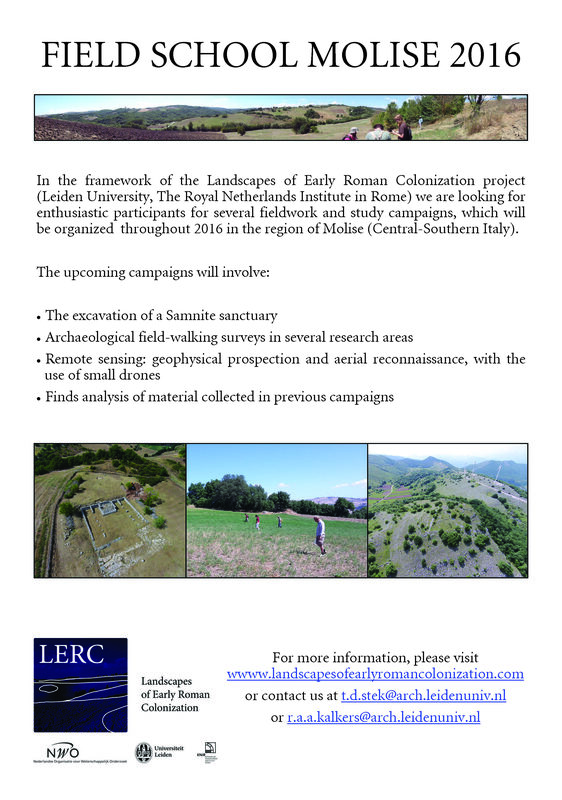 Our research project LERC (Landscapes of Early Roman Colonization) investigates the relationship between societal structure and performance specifically for the historical context of the Samnite world, i.e. the mountainous area in Central Italy where in the first millennium BC a famously – or notoriously – “non-urban” society flourished. We explore other trajectories towards complex society, in which cities do not necessarily play a central role, or at least are not the only central places. Sanctuaries, for example, may perform functions of production and craft specialization, hubs of trade, and centres of gravity for identity formation of larger groups. 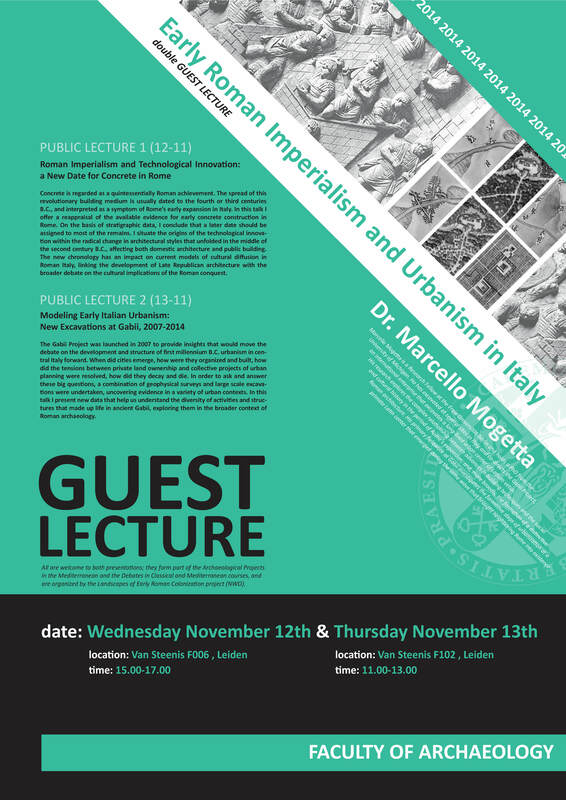 On 18 December 2015, we organize a workshop that confronts the relation between complex society and urbanization from a comparative perspective. 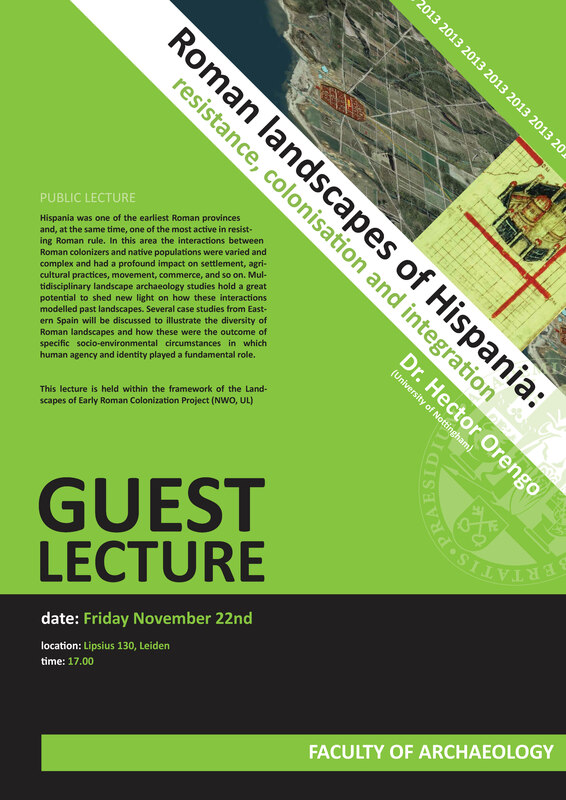 By bringing together case studies from various historical contexts, including Late Chalcolithic Mesopotamia, Iron Age Spain and Italy, and the pre-colonial Caribbean, the role and necessity of urbanization in the development of complex society will be further explored. 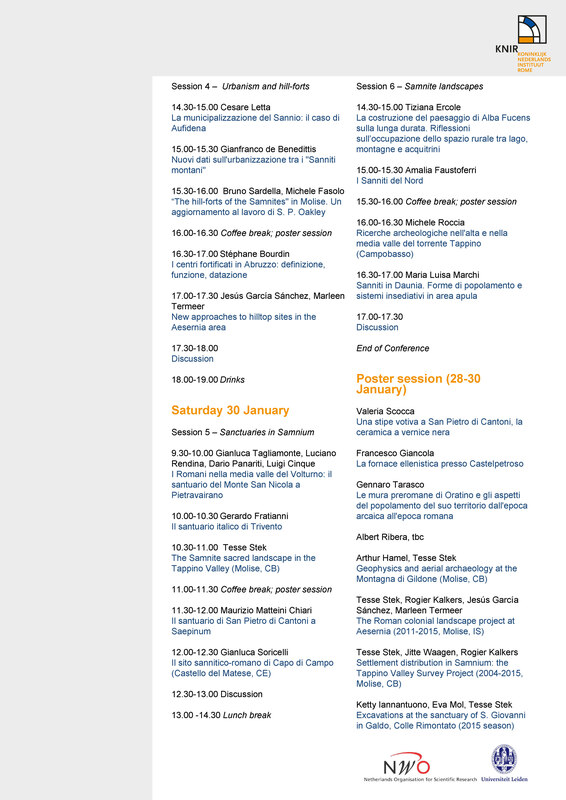 Click here to see the full programme and abstracts. 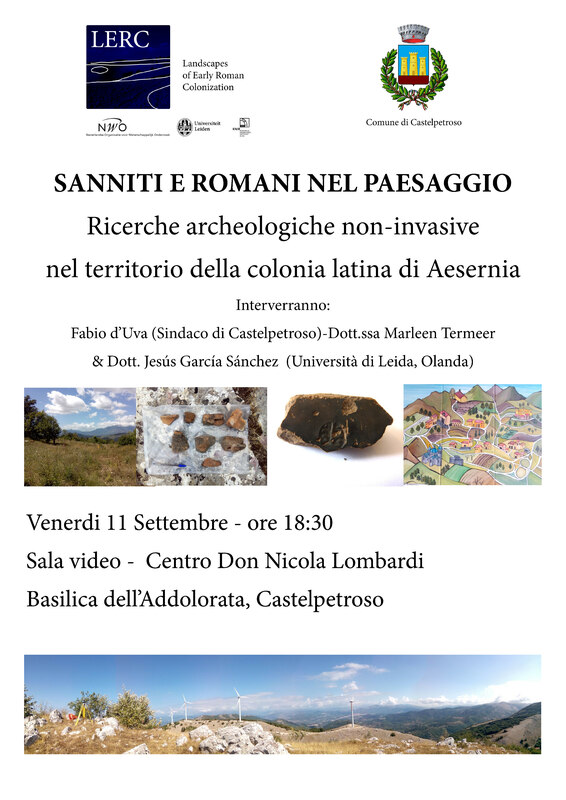 An early Roman colonial landscape in the Apennine mountains: landscape archaeological research in the territory of Aesernia (Central-Southern Italy). in: Analysis Archaeologica, volume 1 – 2015, pp. 229-291. This paper presents the first results of a landscape archaeological project carried out in the territory of the ancient colony of Aesernia, modern Isernia, in Molise, Central-Southern Italy. The nature of Roman Republican colonization is currently heavily debated, and the field project aims to contribute to this discussion by investigating the non-urban aspect of a Roman Republican colony that was established in the midst of the Apennine mountains in 263 BC. Through a combination of extensive field surveys (seasons 2011-2013) and geological and geomorphological analysis, the preliminary results show the potential of a landscape archaeological approach and the diversity of settlement strategies within the colonized areas according to different landscape conditions. The Importance of Rural Sanctuaries in Structuring Non-Urban Society in Ancient Samnium: Approaches from Architectureand Landscape. in: Oxford Journal of Archaeology, volume 34, issue 4 – 2015, pp. 397-406. This brief article addresses the potential of the study of rural sanctuaries for understanding the performance and general structure of non-urban society in ancient Samnium. Samnium, a mountainous area in central-southern Italy, is known for its non-urbanized settlement organization in the Classical and Hellenistic periods. This article discusses different methodologies to assess the local and regional significance of rural cult sites in this particular societal structure. In reply to a recent article in this journal, it is argued that strong local variability of rural cult sites cannot be ascertained on the basis of the disparate available architectural evidence. On the other hand, it is shown that a landscape archaeological approach, i.e. applying intensive field surveys around Samnite sanctuaries, adds significantly to our understanding of the social function of these cult sites. The surveys (2004–present) document a clear nucleation of rural settlement around cult sites, probably reflecting farm–village communities, and demonstrating the strong local embeddedness of the rural cult sites. The order of magnitude of the rural communities living around the sanctuaries is broadly comparable, which gives us a tangible sense of the character and general structure of Samnite non-urban society. New approaches to the study of village sites in the territory of Venosa in the Classical and Hellenistic periods. in: Agri Centuriati, volume 11 – 2014, pp. 31-59. The territory of Venosa (Potenza – Italy), ancient Venusia (291 BC), is one of the best investigated Roman colonial territories in Italy. During more than a decade of intensive landscape archaeological research conducted in the context of the Forma Italiae project an area of seven hundred square kilometers has been investigated and more than two thousand archaeological sites dating from Prehistory to the Middle Ages have been mapped. This enormous quantity of details now being used to protect and promote the cultural heritage of this area, and as a crucial academic instrument for further archaeological and historical research. Nonetheless, important historical questions remain to be scrutinized further. Especially in the light of recently developing research questions and improved ceramic chronologies, various facets of this ancient colonial landscape deserve detailed analysis. In the context of the ‘Landscapes of Early Roman Colonization project’ new ﬁeld research has been conducted in the Venosa area, focusing on early colonial settlement organization and in particular on the role of nucleated rural sites within it.In this paper the outlines of this new research project will be presented as well as the results from one key site: the nucleated settlement site of Masseria Allamprese. Order a copy of Agri Centuriati, volume 11 at Fabrizio Serra editore. The impact of Rome on cult places and religious practices in ancient Italy. This publication of the School of Advanced Study of the University of London is one of the outcomes of the Landscapes of Early Roman Colonization project and the Colonial Rural Networks project (NWO, Dr. T.D. Stek). The volume, edited by Tesse Stek and prof. Gert-Jan Burgers of the Free University Amsterdam, explores the role of religion in early Roman imperialism. The impact of Roman imperialism and expansionism on religious life in the newly incorporated areas has often been regarded as minimal, following the axiom of Roman ‘religious tolerance’. However, literary and epigraphic evidence points at the political and ideological importance of cult sites especially in conflict situations. Moreover, incisive changes in religious practices as well as in the cult sites where these were performed, are documented archaeologically. The causality between Roman expansionism and these trends is much discussed, and the ‘religious Romanization’ of the conquered areas is currently a key debate. 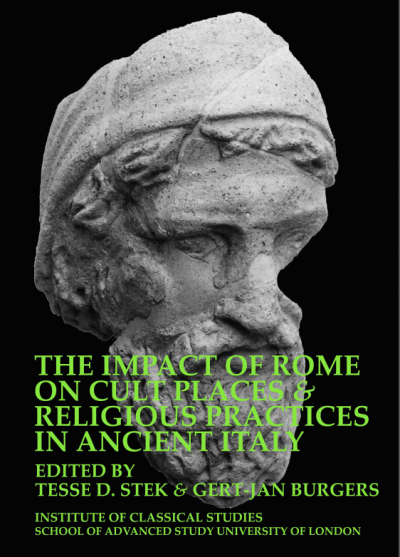 This volume explores the development of religious practices and cult places in the areas of Italy that were conquered in the Republican period, and the role of Rome and its colonies in it. Rather than denying Roman impact and intentionality altogether, it assesses the potential influences of Roman expansionism on the sacred landscapes of ancient Italy in wide and variegated terms. The studies brought together in this volume draw on different types of evidence and approaches, reflecting also the diversity of different national and disciplinary traditions and schools of thought that often have remained isolated in current debates. It presents important new evidence from the inland Italic areas, as well as synthetic discussions addressing key scholarly controversies, such as the agency of Roman magistrates and the role of Roman colonization in ritual change and votive practices. By focusing on the dynamic interaction between authorities, local communities and wider trends in Hellenistic societies, the volume opens new perspectives on religious change in Italy and its relationship to the rise of Rome. The impact of Rome on cult places and religious practices in ancient Italy, BICS Supplement 132, ISBN 978-1-905670-58-1 viii + 332 pp, colour and black and white images, index. Order a copy at ICS. 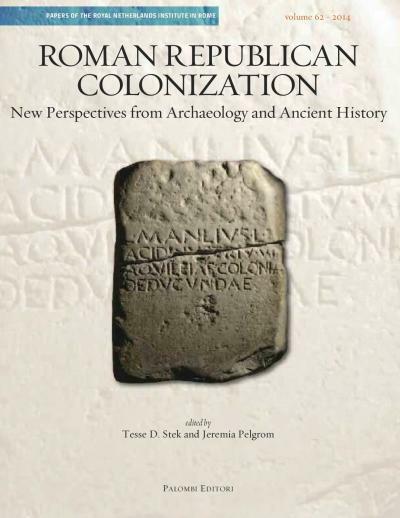 Roman Republican Colonization: New perspectives from archaeology and ancient history. Roman colonization has been seen as a primary model for colonialism in more recent historical periods. The direct relevance of Roman colonization to wide-ranging historical interpretations and to the self-perception of modern nation-states and empires explains the continuing fascination exerted by Roman colonization. Trying to unravel the character and development of the key phase of Roman colonization in the Roman Republican period (5th-1st centuries BC) is therefore essential not only for ancient history and archaeology but also for a better understanding of the modern world. This volume brings together newly developing insights from a range of different academic disciplines. Combining new theoretical insights and new archaeological discoveries, the volume explores the productive interplay between different emerging research areas that are currently isolated, foregrounding new models and patterns of Roman imperial impact. Order a copy at Palombi Editori. Students in Classics, (Ancient) History, Archaeology, Political sciences enrolled in one of the Dutch universities. Participants are required to give an on-site oral presentation and write a short essay on the question how Rome won its Empire. Participating students will receive free tuition, accommodation in Rome and Molise, and excursions (including most entry fees for museums and archaeological sites). Travel expenses to and from Rome, and meals are not included. The masterclass Archaeology from the Sky, on the application of aerial photography in archaeology, organized in collaboration with the Royal Netherlands Institute in Rome, has attracted some media attention. The links below will redirect you to the various news items. 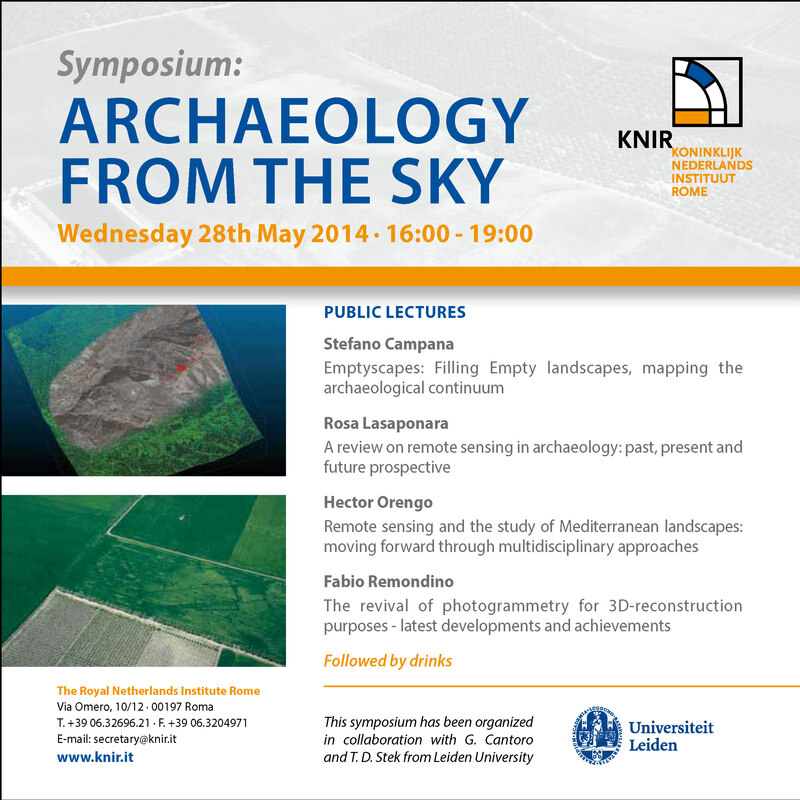 From May 12 to June 6 this year, a specialised course in aerial archaeology will take place in Leiden, Rome and Jelsi, (Molise, Italy). 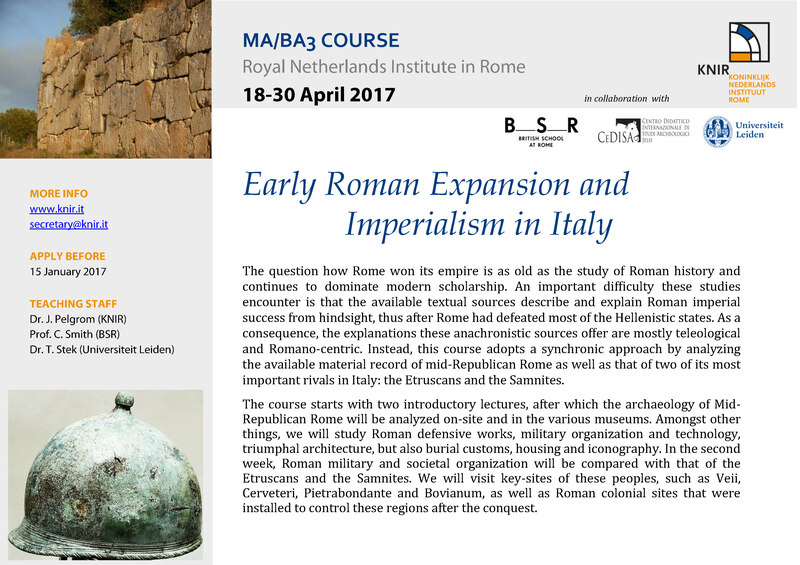 The course is co-organised by the Faculty of Archaeology of Leiden University and the Royal Netherlands Institute in Rome. 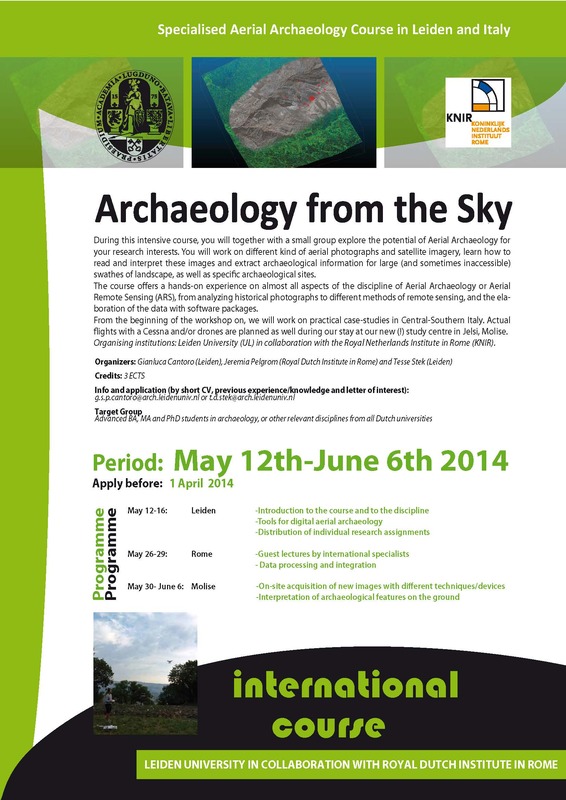 MA-students and PhD-candidates with a clear interest in aerial archaeology or connected topics are welcome to apply. 12 May-16 May 2014: Leiden; first introduction to the course and the discipline. 26 May-29 May 2014: Rome; first-hand experience in a photo-archive, lectures. 30 May-6 June 2014: Jelsi; data collection in the field; data processing and essay. Prof. Olivier Hekster (RUN) will present a lecture on “Recent developments in the study of Roman power: the imperial period” on Wednesday 19 March, 13.15-14.00, in Lipsius 235a. 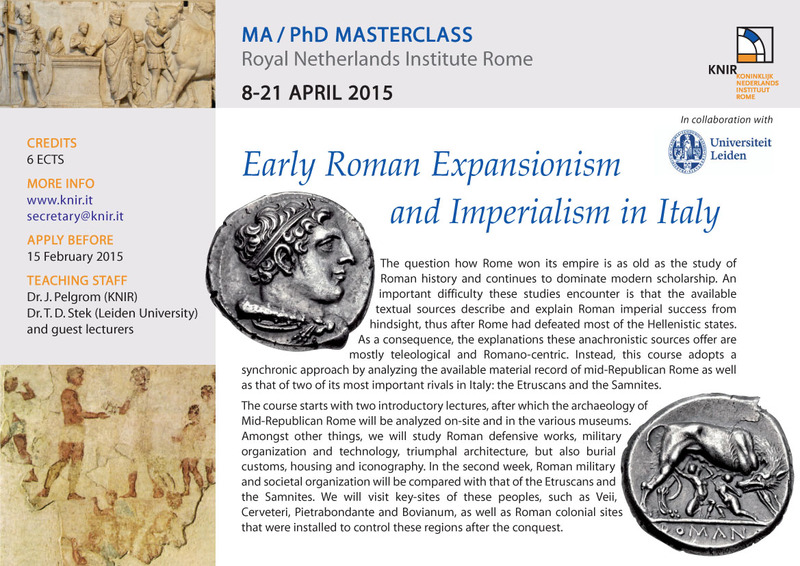 This lecture supplements the classical and mediterranean RMA course “The Archaeology of Roman Imperialism and Colonialism: Reloaded” on new models of imperial structures and power, but is open to anyone interested. 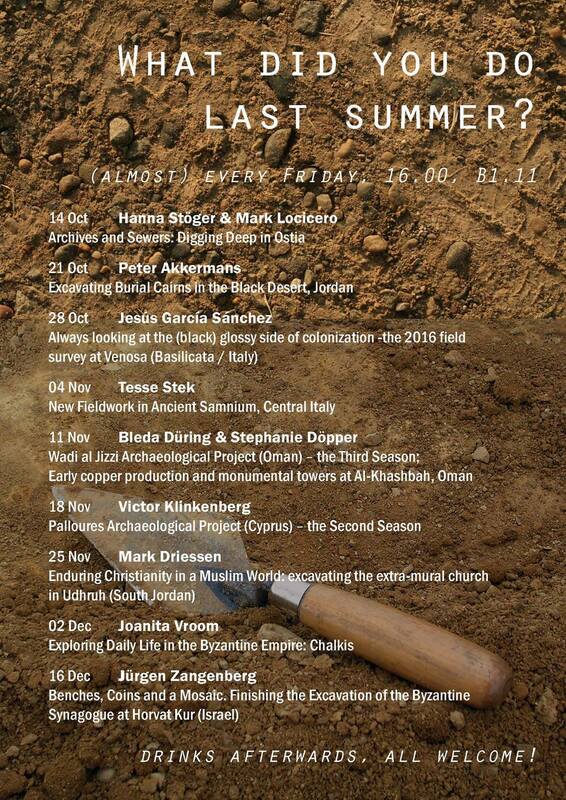 For more information please contact Tesse Stek (t.d.stek@arch.leidenuniv.nl).